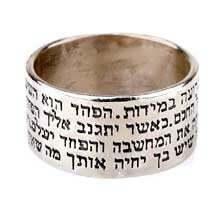 Can a piece of jewelry be used for self development? 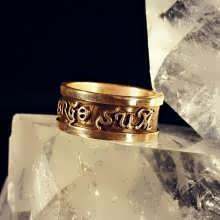 At the center of the Lord of the Rings trilogy, the most successful trilogy and story of all time, there lays a Ring of Power, a wizard's ring that was made in a unique way and that is inscribed with magical words. This is a common example, from the fantasy world that shows how jewelry is viewed as a tool that holds immense power. 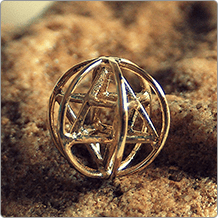 Can a piece of jewelry have the power and the ability to play a significant role in our day to day existence as well? or is this merely a literary motive and nothing more? The majority of jewelry marketed today falls under the category of fashion and beauty. We buy jewelry that appeals to us and that will make us feel that we look good. 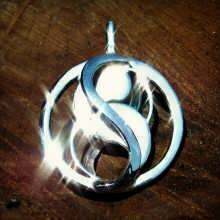 This type of jewelry is used as adornment and as self-expression and sometimes as a symbol of status (especially in the case of Luxury jewelry). 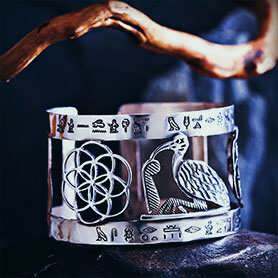 There is another type of jewelry that has developed greatly over the past few years - jewelry that has attributes based on Symbolism and the world of mysticism. 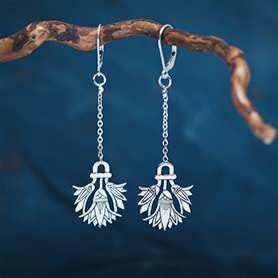 People buy these type of jewelry with special attributes because they connect to the symbolism and the meaning behind them. 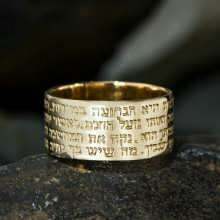 "The strength of the jewelry lays in the use that the wearer puts it to. Just Recently, I was exposed to a great example for that when an Italian couple visited me at my studio. They showed me a film of an interview with Roberto Saviano, an Italian author who was forced into hiding after he wrote a book against the Italian Mafia. 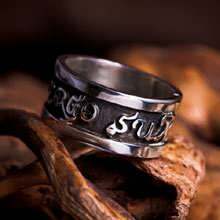 In the interview, Roberto showed the Ring of Courage that I had created and explained that it serves as a constant reminder to himself of who he really is. 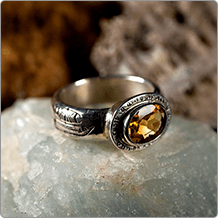 The ring gives him courage by being a constant reminder to his selection to be courageous. " 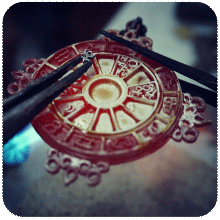 "My jewelry designs are keys meant to help people in their self-development process. They help them find abundance, Unity, self-balance, and happiness. 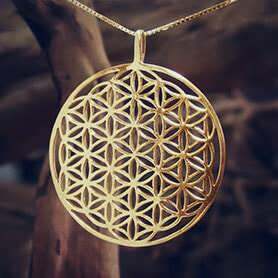 When I give somebody a piece of my jewelry, my goal is to give them freedom from the illusion of troublesome thoughts, to help them achieve physical balance and to give them the ability to look clearly at reality. " David's approach combines a powerful trend in human thought that ascribes our happiness and our wealth to the way in which we think. Positive psychology is one of the newest branches of psychology and has been in existence for less than 10 years. Positive psychology suggests that positive focusing brings far-reaching results that are more effective than those achieved through negative focusing (focusing on what is wrong with us). A good example would be when therapy diverts the discussion from the examination of a problem to a discussion on goals and the vision of whom we really want to be. In parallel with the development of positive psychology, a variety of therapies and treatments have evolved that implement the ideas behind positive psychology. These include individual and group coaching, guided imagery, NLP, the ideas contained in "The Secret" and many other ideas. 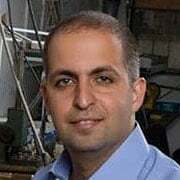 These ideas are all very successful in the advancement of the individual towards a happier and fuller life. "When we wear something, we become aware of some underlying idea. Every time we look in the mirror or at the ring on our finger, that idea comes to the forefront. 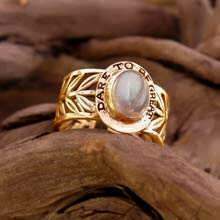 If an individual wears the ring "I love therefore I am", they are making for themselves and the world a statement that can bring about wonderful and amazing changes in their feelings. The statement becomes a pattern and the pattern becomes the way of being. When our being is "I love therefore I am", our behavior and, as a result, the behavior of the world towards us will be personified by love." 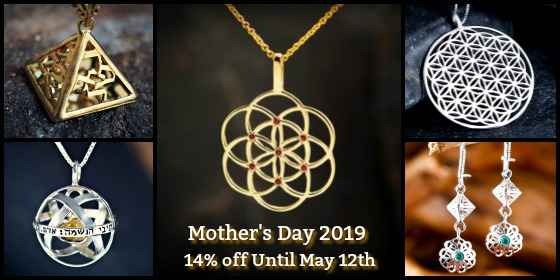 A piece of jewelry can be something more than just a thing of beauty, but something that will be with you day and night, week after week and year after year and remind you of the things you care about the most. 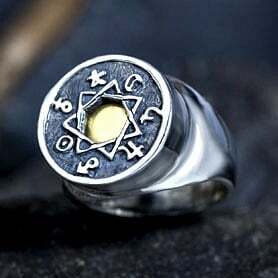 Try to become one with the jewelry and turn it into a tool that shows you the true power that you have within yourself.